(NaturalNews) Here’s a real treat for Natural News fans: an inside look at the Natural News Forensic Food Lab featuring new scientific instrumentation hardware and a full explanation of how I discovered the heavy metal tungsten in rice protein! Catch it all on this YouTube video that I just posted. In this video, you’ll see the ICP-MS instrumentation I use to conduct atomic spectroscopy, including the new Niagara Plus sample introduction system made by Glass Expansion. This system, which I recently added to the ICP-MS instrumentation, greatly speeds sample throughput while reducing the use of argon gas, rinse solutions and other consumables. In this video, I explain how I use the a relative abundance isotopic ratio reference chart to identify an unusual peak pattern in two out of three atomic masses for mercury (Hg). These peaks were oxide overlays of tungsten (W) which is prominent in nature at atomic mass units of 182, 184 and 186. It was an unusual pattern of mercury isotopes at atomic mass units 200 and 201 that clued me in to the presence of tungsten in rice protein samples. I then ran tungsten samples using hydrofluoric acids (HF) with a special nebulizer that’s resistant to very strong acids. These data were then taken to a university laboratory for further validation, and they fully validated my own findings. 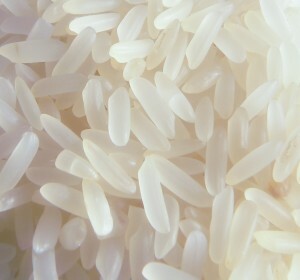 Click here to see the Tungsten results chart of what I found in rice protein.